Qubino, a proud member of Z-Wave Alliance and a European manufacturer of Z-Wave smart home products, successfully launched two new products at the recent Mobile World Congress in Barcelona, Spain: Weather Station and Flush Dimmer 0-10V. Weather Station is connected to your Z-Wave network and used for creating fantastic smart scenes to protect your home and bring comfort to your family, in good and bad bad weather situations. The four sensors measures 10 weather properties in total (wind direction, wind velocity, wind gust, temperature, wind chill, rain rate, indoor/outdoor temperature and indoor/outdoor humidity). Imagine you are away from home and the storm is coming. The weather station will sense the change in wind speed, rain and other »bad weather« parameters. It will send the information to your Z-Wave home network and trigger the smart scenes to protect your home. 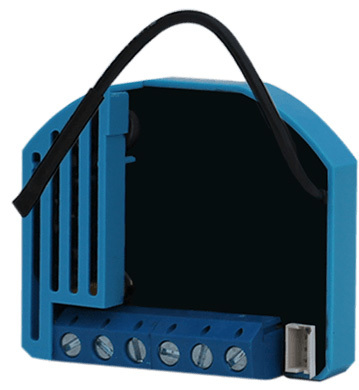 Flush Dimmer 0-10V is a unique Z-Wave Plus product and trully one of a kind. It was researched and developed based on the end users and DIY (Do It Yourself) enthusiasts who were desperately looking for a Z-Wave solution with 0-10V input/output. 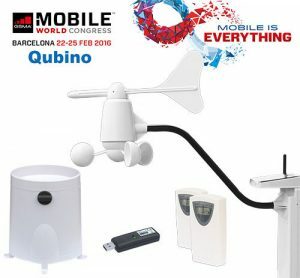 Qubino managed to develop a much needed and unique new Z-Wave product which brings countless new possibilities in the Z-Wave field. Qubino is a collection of the the most innovative Z-Wave microcontrollers for controlling lights, switches, shutters and other home devices. The major part of the Qubino modules is as thin as a pencil by just being 7mm high, which makes it super easy to place and install into your wall sockets or other confined spaces in your home. Qubino products are known for its high quality and long durability (due to high quality components such as OMRON relays) and easy installation.